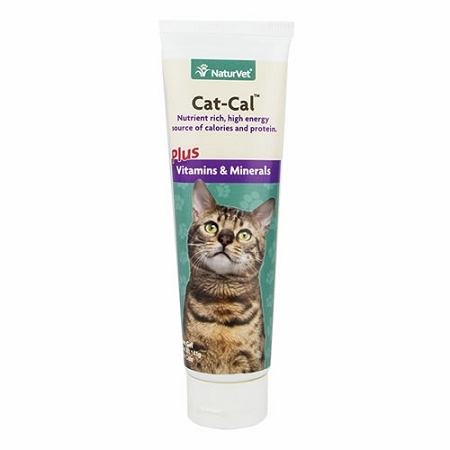 Home > Misc > See All Products > See All Cat Products > Vitamins for Cats > NaturVet Cat-Cal Nutritional Gel - 5 oz. Cat-Cal Nutritional Gel with Omega fatty acids provides cats with calories, energy and nutrition. Great for finicky eaters that may need extra nutritional support. 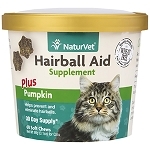 Cat-Cal Nutritional Gel by NaturVet is a great tasting source of calories and protein for finicky felines or cats needing increased caloric or nutritional intake. 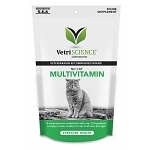 Formulated with Omega-6 and Omega-3 fatty acids plus essential vitamins and minerals for cats. A few tasty licks provide supplemental caloric and nutritional intake for your cat or kitten. A great way to bond with your pet is to give right from your finger. May also be given from a dish. Malt Syrup, Corn Syrup, Soybean Oil, Methylcellulose, Cane Molasses, Water, Cod Liver Oil, Soy Protein Concentrate, dl-Alpha Tocopheryl Acetate, Sorbic Acid (a preservative), Potassium Sorbate (a preservative), Manganese Sulfate, Iron Proteinate, Thiamine Hydrochloride, Niacinamide, Calcium Pantothenate, Magnesium Sulfate, Pyridoxine Hydrochloride, Vitamin A Supplement, Vitamin D3 Supplement, Potassium Iodide, Riboflavin-5' Phosphate, Folic Acid, Vitamin A Palmitate and Vitamin B12 Supplement. For adult cats over 6 months. 2-1/2 inch ribbon = 1 teaspoon (approx. 6 grams) daily. 1-1/4 inch ribbon = 1/2 teaspoon (approx. 3 grams) daily. Calorie content: 4420 kcal/kg (26.5 kcal/6g).